The work of the Husa na provázku (‘Goose on a String’) association, was launched in the autumn of 1967 as an amateur group of professional theatre artists, art school students and young artists from other professions. 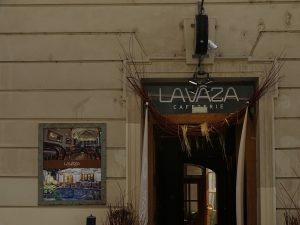 The core group consisted of theatre students from the Janáček Academy and also students of acting, young writers, philosophers, composers and musicians from the same year group. The preface of the book of six librettos by Jiří Mahen was adopted as its symbolic artistic basis, and it was from this that the association got its name. The first artistic director was the drama teacher and dramaturge Bořivoj Srba. 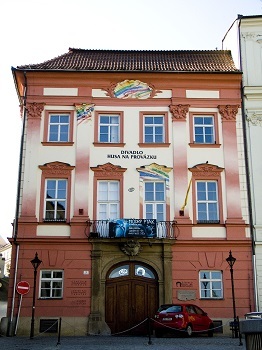 In 1968, the Dům umění (House of Art) in Brno, specifically its director the poet Adolf Kroupa, took the emerging group under its wing. The theatre has a rich history. Today, this experimental theatre with a glorious past is among the leading stages on the theatre map of the entire Czech Republic.